My son and I attended the Green Bay Packers game against division rival the Detroit Lions this past Sunday at Green Bay’s Lambeau Field. I’m glad his first NFL game was at Lambeau and that I was able to experience this with him. If you are a football fan and have never been, a trip to Lambeau on game day is a must for your bucket list. Here are some lessons that the financial services industry could learn from a trip to Lambeau Field. As you enter Green Bay you will be struck by the fact that the whole city is pretty much all about the game. Many houses near the stadium turn their front lawns into parking lots, as did at least one gas station and local motel. Some will let you tailgate right on their lawn and even use the restroom in their home. We parked on the lawn of an elderly couple for $20. The husband who was in a wheel chair directed us as to where to park even before taking our money. In fact I had to find him to make sure that we paid him. He didn’t seem the least bit worried about me stiffing him. I can’t tell you how often a prospective client has told me that the reason they were leaving their financial advisor was that the advisor talked down to them. I’ve never understood this and the only reasons that I can come up with here is either true hubris or that the advisor really doesn’t want the client to understand where they are putting their money. In the latter case this could be because the investments are sub-par or there is some sort of fraud ocurring. Sadly all too often employees have a menu of lousy 401(k) investment choices. Clients of commissioned registered reps also are frequently offered financial advice that may be suitable for them but not totally focused on their best interests. This may include being sold products such as high cost annuities. I’ve been a Packer fan since 1966 when they won the first Super Bowl. A couple of weeks ago I was so fanatical during the debacle against the Bengals that my wife and dog left our family room. I care who wins. Being there with my son on Sunday transcended who won or lost. The fact that we were able to get down to the bottom row of the stands and watch pre-game warm-ups was as much fun as the game. Mike is a Communications major at Northern Illinois University where he also works for the Athletics department. He was very interested in watching the media setting up for the game as well as seeing the likes of Clay Matthews up close. Forty-eight percent of Americans say it is hard to know which sources of financial advice can be trusted. Thirty-seven percent of Americans say they don’t like talking to anyone about their finances. 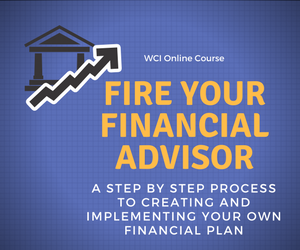 Forty-six percent of Americans say that more than ever, they need a trusted place to go for financial advice. Two-fifths of Americans think good financial advice costs more than they can afford. One-third of Americans say they lack the time to get proper financial advice. More than half (58 percent) of Americans say they would prefer to get financial advice from a single point of contact or location. The financial services industry could learn a lot about service, the quality of the financial products and advice offered, and the need to serve clients for a reasonable fee by visiting Lambeau Field on game day. It’s an experience like no other. Former New York Congressman and current New York City Mayoral candidate Anthony Weiner is at it again. Mr. Weiner has admitted to another episode involving his texting photos of a certain part of the male anatomy to a woman who is not his wife. While this lack of judgment, and apparently a moral compass, will certainly serve Mr. Weiner well in politics, I want to suggest that a major financial services company should consider hiring him as their spokesperson. He is perfect for the job. At the end of the day this is what financial services marketing is all about. Our services are the best. Our investment returns are better than the competition. Our trading costs are lower, we offer more investment research. Clearly given Mr. Weiner’s proclivity to show off his anatomy he is in fact implicitly saying mine’s bigger, mine’s the best. Ok this one’s too easy, but I would think some shameless financial services firm would jump on the idea of teaming Mr. Weiner with NFL great Brett Favre in an ad. Favre holds most of the NFL passing records and is a sure first ballot Hall of Fame inductee when he is eligible. Favre, of course, allegedly texted photos of his male anatomy to female members of the New York Jets organization. What a sensational tie-in! Clearly this will never happen and it probably shouldn’t. My point is that while financial services commercials are often fun (I love the E-Trade Baby) they are designed to sell the advertiser’s products and services. No matter who the firm is, I hope that nobody would actually go ahead and do business with any financial services firm based just upon an ad without doing their homework and due diligence. Moreover find a financial advisor who is right for your unique needs. Find a custodian who offers the services and investment vehicles that are right for you at a reasonable cost.